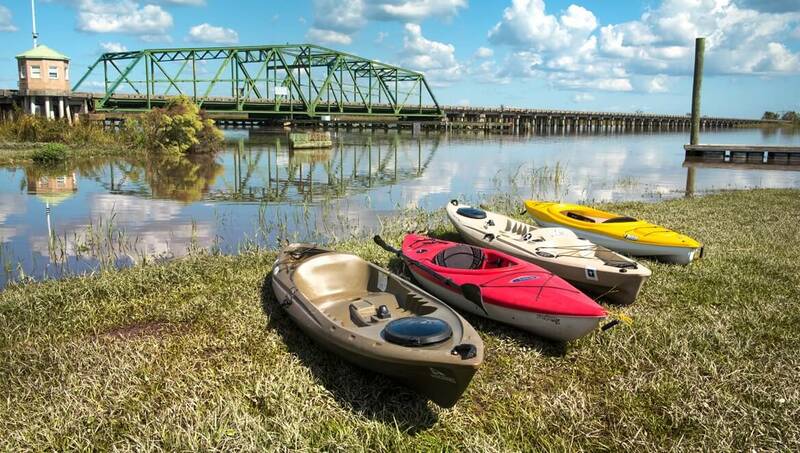 With an entrance to the Savannah National Wildlife Refuge and direct access to the Savannah River at the Houlihan Boat Landing, hunting, fishing, paddling and other outdoor pursuits are a natural fit in Port Wentworth. Throughout the area, you’ll find places for biking, sailing, dolphin tours, manatee watching and so much more. The Savannah National Wildlife Refuge is more than 29,000 acres of freshwater marshes, tidal rivers, creeks, and bottomland hardwoods, much of it accessible only by boat. Remnants of the dikes enclosing the rice fields of the 1700s still hold back waters that support numerous species of migratory waterfowl. Waterfowl are most abundant from November through February, while alligators and other reptiles are frequently seen from March through October. Birdwatching opportunities are good year round. Many hiking and biking trails are available to the public as well. Visitors can also enjoy other wildlife-dependent recreational opportunities such as hunting and fishing which are allowed during certain times of the year. Although no camping is allowed in the Wildlife Refuge, you can extend your nature adventure by camping in one of Port Wentworth’s more than 10 nearby campgrounds or RV/mobile home parks that are located in Garden City, Rincon, Richmond Hill, or even Hardeeville and Bluffton, South Carolina. For fishing bait, Larry’s Bait and Tackle on Highway 21 is closest to the Savannah Wildlife Refuge. The Savannah River hems the edge of the Refuge, and is easily accessed from the two double-lane boat ramps at Houlihan Boat Ramp Park. Take Exit 109 off I-95 and go south on GA Hwy. 30 for 2.7 miles. Turn left and continue south on GA Hwy. 30 for an additional 0.9 miles to GA Hwy. 25. Turn left (north) for 0.8 miles. The park is located on the right, before crossing the Houlihan Bridge at the Savannah River. Here you can also access St. Augustine Creek that flows through the Savannah Wildlife Refuge. This fishing and boating area is also popular with canoeists, kayakers and picnickers.